Hope all is glamorous! I recieved my first glossybox and was so excited!! It did not disapoint! 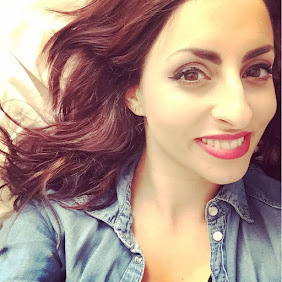 For those of you who arent aware of glossybox its a beautifully wrapped box that has 5 beauty samples, they are a mixture of makeup, skincare and hair products from various brands, you recieve the box every month....and boy am i excited for the next one! Visit www.glossybox.com for more info. 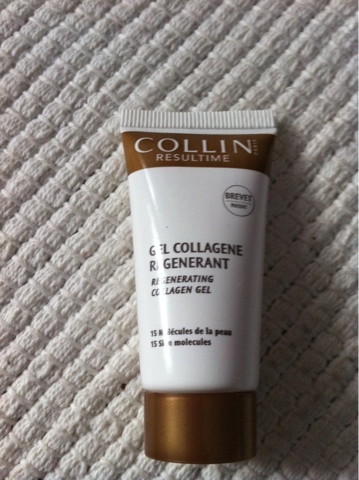 This gel is from collin resultime.....it is a multitasker containing 15 key skin molecules. You can apply this morning and/or evening as a serum under your cream or as a mask. I really like this product, not only does it smell fresh but its not sticky which i find with some gels. It glides on and i feel it gently tightens. I would recommend this product and give it 7/10. 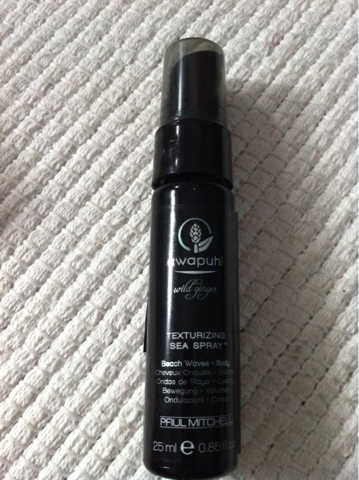 Awapuhi wild ginger texturising sea spray....I LOVE THIS!! Never one to be into hair products this has changed me! Ive added it to straight hair for volume and texture. When i curled my hair i thought id spray a bit on and wow it seemed to add extra bounce and flair! Love it! I would definately recommend this! A gorgeous scent that my boyf loves. 10/10! 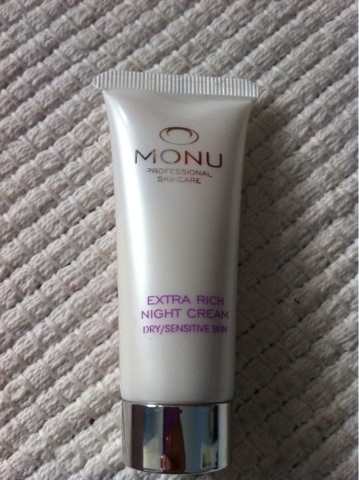 Monu extra rich night cream....i havent ever used night creams and so was new to this. The product at first wasnt my kind of scent but then after a couple of applications i loved it-smells like an oriental garden! The product is for dry/sensitive skin. Im combination and feared it would make me oily, but i was pleasently surprised! it glides on and moisturises well, with no oily residue...it has definately grown on me and have noticed my skin looks and feels gorgeous. 8/10. 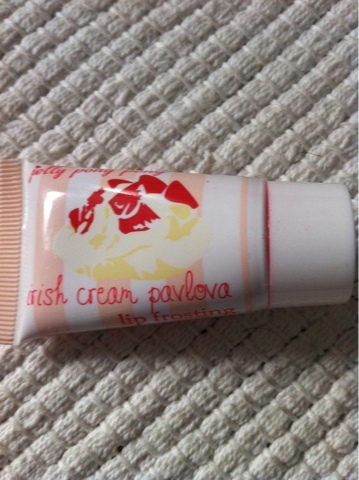 Jelly pong pong cosmetics lip frosting...my other fav product in the box!! This is delicious! Could eat it! A gorgeous pink colour, that isnt sticky at all and stays on for a long time. Careful when you get the product out though! It spurted on me first time! Sweet smelling and a gorgeous gloss i would highly recommend 10/10. Kryolan satin powder...lovely product. Reminds me of the Barry M eyeshadows. A peachy colour that dusts on, leaving a summer glow on your eyelids. Lasts and doesnt crease! This product would last a long time as you only need a little, i also use this as a highlighter! 9/10. And a little extra sample-elizabeth arden visible difference slin balancing cleanser, serum and lotion. As expected gorgeous products. My favourite is the exfoliating cleanser that is gentle on the skin, it has left my skin glowing! Love it! All products smell "clean" and leave you feeling fresh as a daisy! Will purchase these! 9/10.